Westech Inspection. Inc. uses a powerful automated ultrasonic scanning system. Our system is a computer controlled magnetic crawler system with over 250 pounds of holding strength and is configurable for many different applications. Combined with Westech Inspection’s diversified experience in Automated Ultrasonics we can provide the most Cost Effective C-scan imaging of various types of structures i.e. tanks, pressure vessels, and piping. With the ability to steer our crawler we can save the cost of erecting expensive scaffolding to gain access.The overall result of utilizing this cost-effective system is that it allows us to collect More Data Of A Higher Quality that shows more than just spot readings taken by manual ultrasonic testing. With Standard Resolution 0.25” x 0.25” large areas can be scanned in a minimum amount of time. 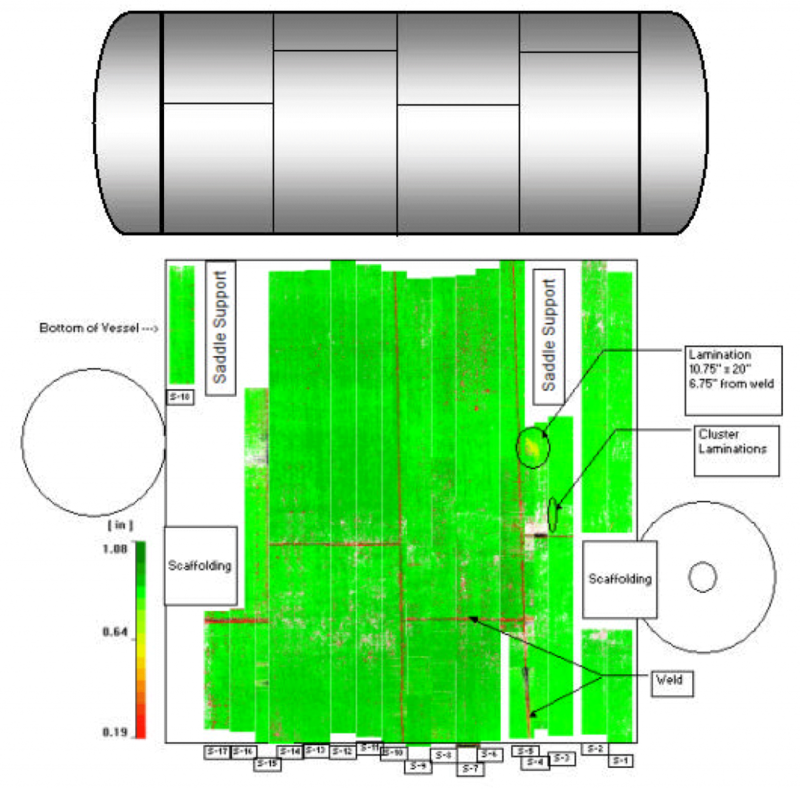 B-Scan feature is a powerful tool when it comes to corrosion analysis. 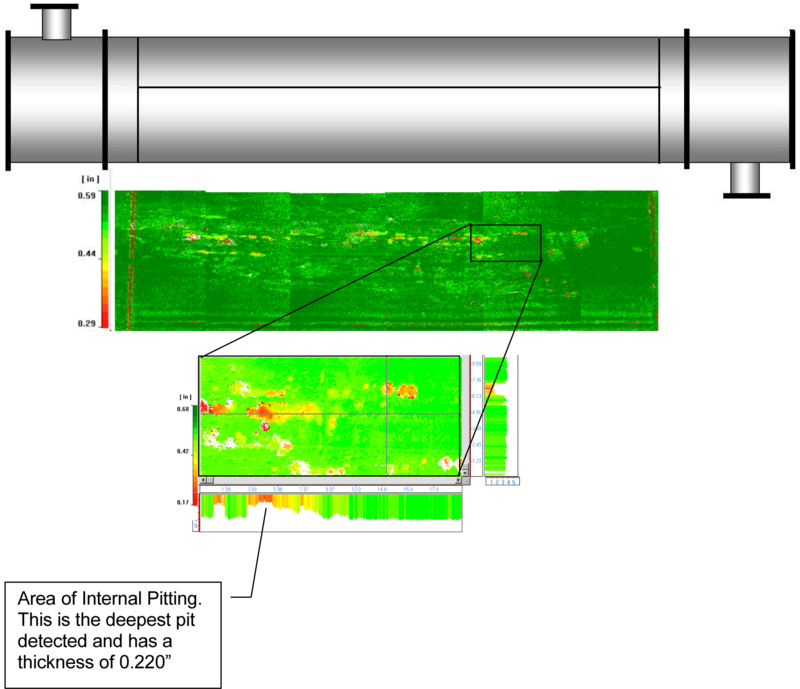 The ability to scroll through the B-Scans that make up the C-Scan image gives the operator the ability to accurately classify the type and size of defects found while also giving a clear view of the inside plate profile. In the hands of a skilled operator this tool provides a safeguard against false thickness data from laminations or inclusions. Engineering calculations for remaining life expectancies or maximum allowable working pressure (MAWP) requires very accurate thickness data.